DHA Peshawar speedy development work is being undertaken in A , B and C blocks of DHA Peshawar. It is expected that A and B block possession will be handed over by the end of 2019 and investors are hopeful that DHA Peshawar will keep its promise. DHA Peshawar balloting has been conducted on 25th Dec 2017 and you can check your ballot results here. MOU signing ceremony was held on 12th Dec 2017 in Peshawar for development of work in DHA Peshawar. Both FWO and NLC were awarded the contracts. 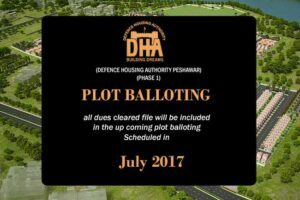 DHA Peshawar has officially announced that balloting of plots will be held on 25th Dec 2017. The announcement was made during the gate unveiling ceremony held in Peshawar which was attended by DHA Administrator and Corps Commander Peshawar. DHA Peshawar held its main gate unveiling ceremony for the main entrance of DHA Peshawar on 14th Oct 2017. A lot of investors are worried about delays in the availability of affidavit files in DHA Peshawar and the expected date of balloting. The delays in issue of affidavits were because of certain internal issues within DHA Peshawar office and as per latest news everything is back in order so a lot of files which have been held up for a month will be shortly released. In addition the balloting date has been delayed for a month or so to compensate for the delay. Balloting for plots has been delayed in DHA Peshawar because of the enormous response from investors and delay in affidavits availability by DHA Peshawar due to time shortage. This is a good news for all the late buyers who can now buy it easily again with time on their hand. The exact date is not yet announced but it is expected to be held in mid August or later. DHA Peshawar has officially announced balloting of plots in July. The expected date is 31st july , however the exact date is not yet been announced officially. Buying a DHA Peshawar file is a swift procedure and will take only a few days. We at imlaak are always happy to help and assist you to buy DHA Peshawar file at lowest possible market rates. You do not need to visit Peshawar to purchase your file rather you can buy it hassle free through us at your doorstep. Call us now at 03 111 777 555 to buy a file now and we will take care of the rest. Step 1 : Give a token amount of 100000 and 10000 processing fee (including 6500 transfer charges). You will also need to provide 2 x passport size pictures. Please note that you must take a token receipt from our office. This is a conditional token and will normally take a couple of days before your affidavit is applied. Step 2 : Prepare pay order of the remaining amount in favor of the investor selling you the file after our agent confirms you the name and CNIC number of the seller. 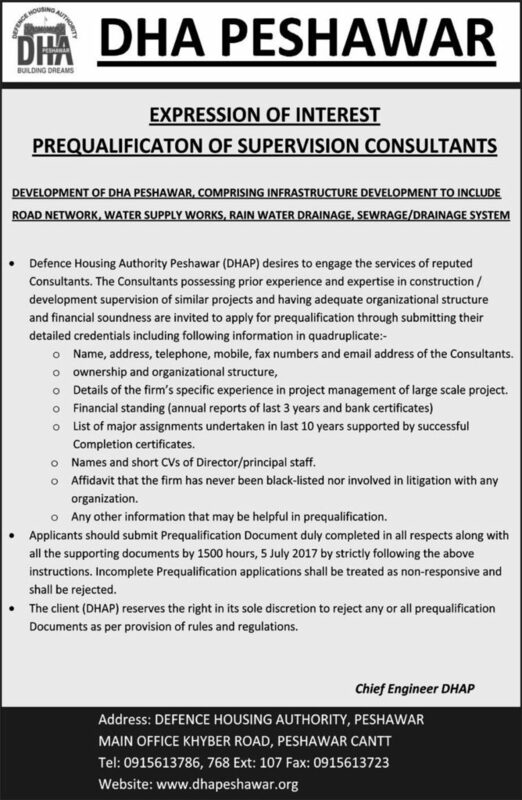 Step 2 : You can visit DHA Peshawar yourself or you can give power of attorney to our representative to collect intimation letter on your behalf from the office of Peshawar DHA. Step 4 : Fill up our membership form and submit the membership fee Callahan through a pay order. At this stage you will have to provide CNIC of your next of kin as well. Step 5 : Collect your allotment letter from DHA Peshawar office. This is the only time you must visit the Peshawar office yourself. It is also important to mention here that while you can purchase an affidavit file without going to Peshawar yourself, you will have to personally go there once you want to sell your file or plot. In addition you will have to appear in person as well if you purchase an allocation instead of an affidavit file. The idea of DHA Peshawar was conceived in year 2007 . Followed by thorough deliberations, identification and selection of number of sites, legalities, the legislative necessities and acquisition of Lands. DHA Peshawar is a statutory body formed under an Act of Parliament called as DHA Peshawar Act 2009. This gave DHA Peshawar a firm legal and legislative grounding for the Authority to provide a sustainable, healthy and first of its kind housing society for the population of Khyber Pakhtunkhwa. This housing society is going to offer remarkable planning and meticulous urban development. It and will ultimately evolve as the largest and leading residential estate of Khyber Pakhtunkhawa. DHA Peshawar profoundly holds the privilege of being the first housing authority that provides the world-class living environment and well-guarded community with amenities of quality life. By the promising growth and advancement, through leadership, vision and innovation, DHA has poised itself to be the preferred housing provider in the country. The authority regulates the impeccable functioning with a well-managed and governed administration providing the best educational, recreational, cultural and civic facilities to the residents in an aesthetic environment. Defence housing authority has attained a valuable status serving as a benchmark for providing unparalleled living standards in Pakistan. Welfare of Armed Forces Officers, Junior Commissioned Officers Non Commissioned Officers & Soldiers who retire from their services after serving the state commendably and selflessly, and the wards of shuhadas who have laid their lives for nation’s future. Facilitate People with essential civic facilities i.e. Health, Education & Entertainment. Build our socio cultural fiber by reconnecting communities. Promote religious harmony by defining communal worship centers. Encourage educational pursuits by designing modern centers of education. If you are looking to invest in DHA Peshawar than you must read and bookmark this page. Imlaak provides you informative details, updates, blog and analysis about DHA peshawar. Defence Housing Authority is one of the countries most prestigious developers and the most successful as well. The initial projects by DHA were developed in Lahore, Karachi and Islamabad, however later on a need was felt for developing DHA in other cities as well. This decision was followed by launching of DHA Gujranwala , Multan , Bahwalpur and later on Peshawar. DHA Peshawar holds a special place as a lot of army officers and soldiers who belong to KPK. In the past when an officer or a soldier was given a benefit plot it would be allotted in Lahore, Islamabad or Karachi. This would mean that either he will have to sell it out or move to a new province and city. Although Askari colonies in Peshawar do exist but the quality of the houses is not as good as those built in DHA. 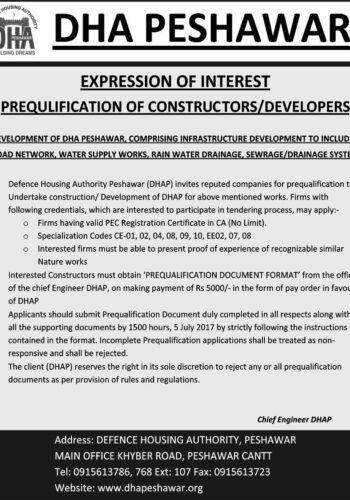 It was just a matter of time before the decision was taken and DHA Peshawar was launched to fulfill the requirements of soldiers and officers to live near there own home towns and cities with the launching of various DHA projects all over the country including Peshawar. 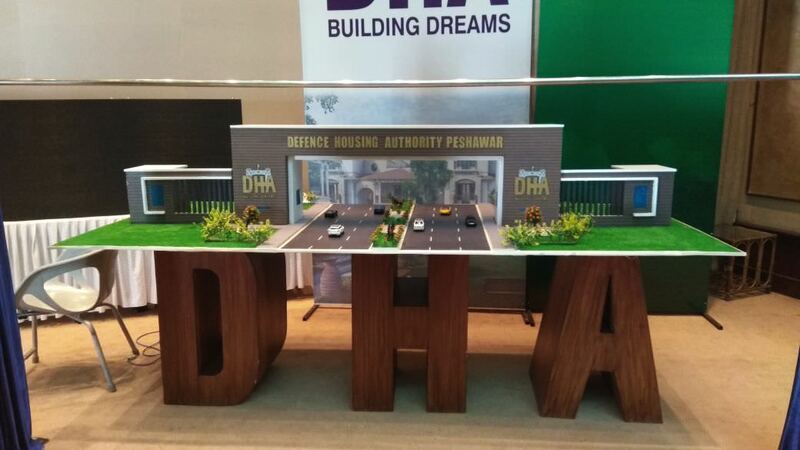 DHA Peshawar is the first project of Defence Housing Authority in Kpk Province. It has a very special place in the hearts of the people of KPK as now they do not have to look towards Punjab for a safe investment in real estate. We believe that DHA Peshwar will be one of the most prosperous DHA projects in the entire country. It has a great location and is the very first project of DHA in KPK Province, whilst the Punjab alone now has 5 DHA projects namely in Islamabad, Gujranwala, Lahore, Multan and Bahawalpur. This gives a unique advantage to Peshawar DHA and an important aspects to consider before making a decision to purchase. Peshawar is the provincial capital of KPK province with a population of approximately 3.4 Million people. In addition the population of KPK is near 3 crores including that of Peshawar. Before the launch of DHA in Peshawar most of the real estate investor community in KPK would have to go to Punjab but that will all change when the Peshawar DHA comes into play. It is important to note here that we must keep the entire population of KPK in picture to understand how the investments in DHA Peshawar will work out in future and not just Peshawar. One can easily understand that the local investors will now give preference to DHA Peshawar rather than DHA Islamabad after its launch. Peshawar is the most developed city in KPK and just like Lahore which serves as the hub of real estate investment in Punjab it serves as the hub of real estate investments in KPK. 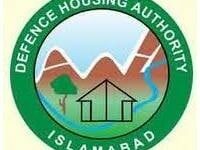 Defense housing authority Peshawar plans to complete the development of phase 1 in year 2019. But our personal on ground survey leads us to predict that 2020 or max 2021 will be the possession year for DHA Peshawar. DHA in Peshawar is located at one of the best locations surrounded by major societies. Located near Nasir Bagh road close to Askari VI Peshawar and other societies like Yaseen town Peshawar, Hafiz town and runs parallel to Regi model Colony. It is strongly expected that balloting will be held in mid of 2017 and development work will begin soon after that. 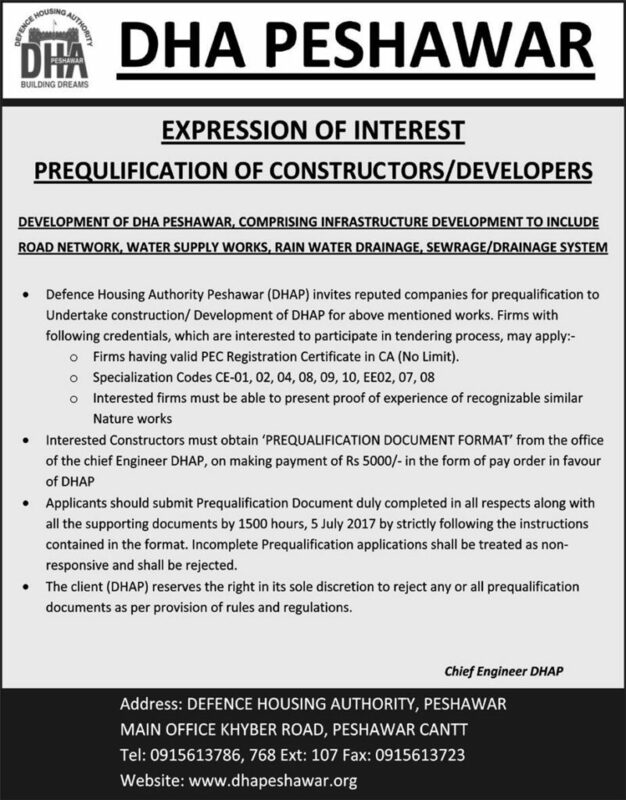 Defence housing authority Peshawar is under extreme pressure to deliver the project as it is the sole project in entire province. Why invest in Peshawar DHA? 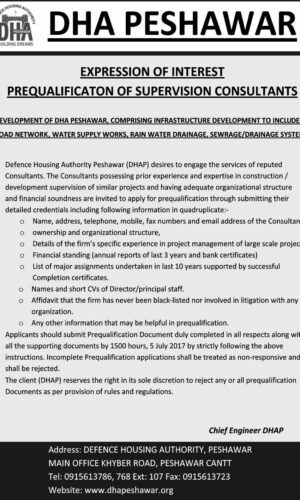 Now that you know all about Peshawar DHA, it may be a good question to ask yourself if you should invest in it or not. One of the glaring things about Peshawar DHA is that besides being the first DHA Project in KPK it is also the first among the big nation wide developers such as Bahria and City. While Bahria has shown interest and formulated plans to launch a society in Peshawar but so far it has not concluded its plans. 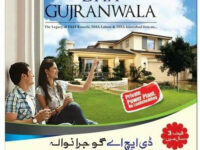 If you live in KPK and you are looking for an investment what options do you really have?. 3.4 Million people in Peshawar and the 30 Million in KPK have Peshawar DHA as there first real estate investment option. This realization has caused quite a stir all across Pakistan and they have started to invest in DHA Peshawar as well. Presently it seems though that the local investors are probably not very keen about investing in Peshawar DHA. This may be because they have yet to experience how real estate societies like DHA can turn you into an instant millionaire. However people in Islamabad, Lahore and Karachi who have seen how investments in DHA have changed the life of people already know that the potential in Peshawar is huge and therefore are already investing in the opportunity to take advantage of its launch. When you invest in real estate, this is probably the most important things you wish to know. While different opinions always circulate in the market and that is the beauty of real estate market. I will suggest that you do not confuse yourself and try to do a little bit of research yourself about the project and than trust your gut instinct. Matter of fact is that real estate is always beneficial, specially when it comes to Defence Housing Authority projects. Ever since its inception it has delivered to the people of Pakistan and investors. If not 100% you can safely say that DHA has 99% of promises made by DHA have been made a reality so far. This clearly reflects on the authenticity of the DHA and its culture to promote safe and profitable real estate investments and a world class living with in Pakistan. Although a lot of problems do occur while acquiring land for the society and it is a long tiring process. Potential hiccups and issues do occur but DHA has always found a way across them no matter what the cost may be . This very good will of DHA has made it the biggest real estate developer of Pakistan and it continues to grow bigger every year. DHA Peshawar will be a milestone project and is expected to offer great returns to its investors. The balloting is expected in 2nd half of 2017 and it is expected that once the master plan is made public and plots are allotted the plot prices will be at least between 65 to 90 Lacs . It is important to mention here that the plot prices will vary depending on the location of the plot. The balloting which will be conducted by DHA Peshawar is completely transparent and computerized. After balloting it is expected that a bad location plot will be around 65 Lacs where as a good location plot may go up as much as 90 Lacs. In addition to the file you have purchased you will also have to pay development charges to DHA Peshawar after the plot balloting. Usually you have to pay this amount in 2 to 3 years of installments. In Lahore development charges of 1 Kanal plot are 1963000 and we expect that DHA Peshawar will also keep the development charges in the same ranges. In case you are unable to pay any development charges installment you will be fined for every due installment. It is therefore advisable to pay these installments as per schedule. In case you want to sell your plot at any given time you will have to pay up to date development charges before transferring it to some one else’s name. It is expected that DHA Peshawar will complete the development in 2 to 3 years. Therefore possession is expected in 2020 and the plot prices will vary between 110 Lacs to 140 Lacs depending on the location of the plot. If you are an owner of 1 Kanal DHA Peshawar file than your total investment at that time will be Price at which you purchased the file + development charges for 1 Kanal plot. In my opinion if you are a resident of KPK than its best to buy and hold it for long term and sell it after possession. However if you are not a resident of KPK than you should follow any of these strategies. The best time to buy is before plot balloting and the best time to sell will be in 6 months to 1 year after balloting. This will yield you the maximum profit in a short time period. In this strategy you buy a good location plot after the plot balloting. The best time to buy it will vary and will depend on the market conditions. Usually it is the time when the market is slow and it is hard to find a buyer. You can take advantage of the situation and buy a good location plot and sell it just before possession or may be a little while after that. These are the best strategies if you are not a resident of KPK and will give you maximum profits in short time periods. It is advisable to consult your realtor before deciding to invest in real estate so give us a call or use our discussion forum where we are always ready to answer all your queries.